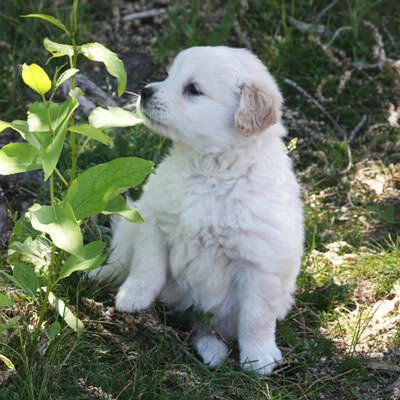 Golden Retriever puppies for sale in western Montana. 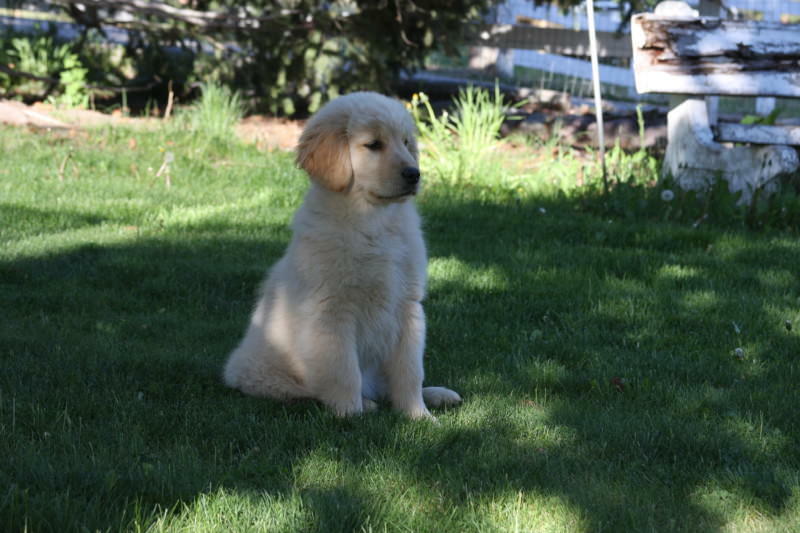 Best Golden Retriever breeders in Montana with over thirty years experience. 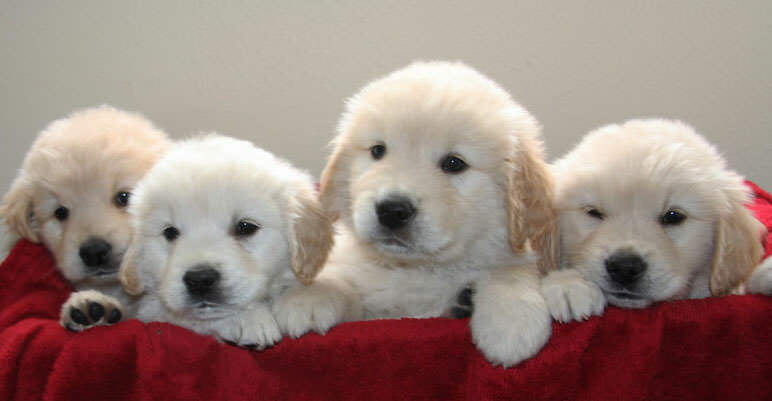 Stunning Golden Retriever puppies for sale with a four year health guarantee. 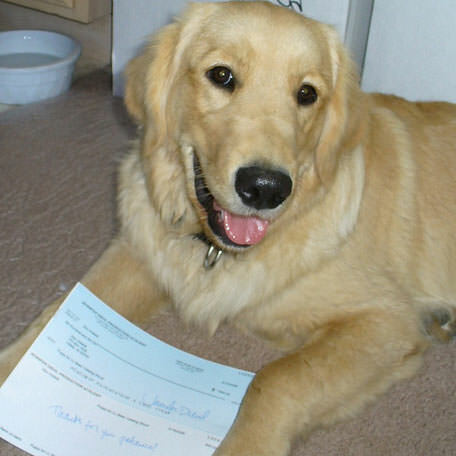 We are reputable Golden Retriever breeders, health and temperament being our highest priorities. We make it a point to ensure there is no in-breeding in any of our dogs ever. 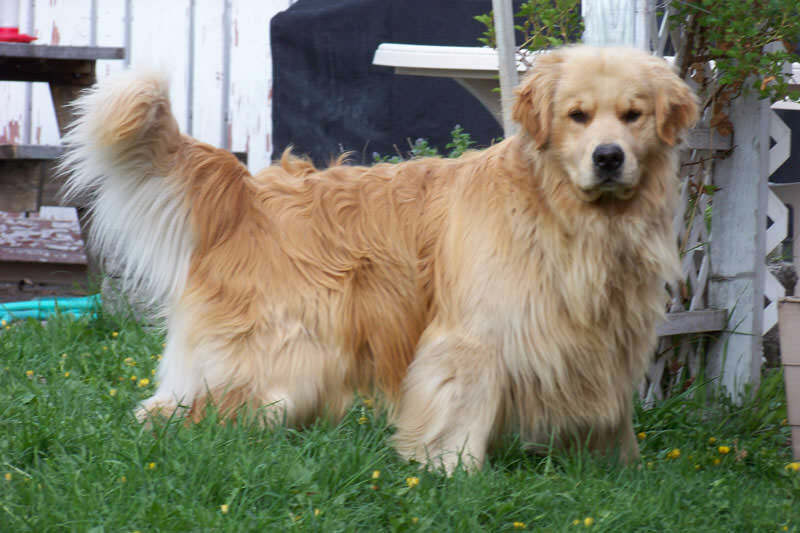 American Golden Retrievers are included in our breeding program to produce gorgeous fluffy coats that most English Golden Retrievers lack. We take pride in our program and produce only the best puppies. Extensive health testing is done on all parents, including DNA tests for PRA1, PRA2, ICT and MD. 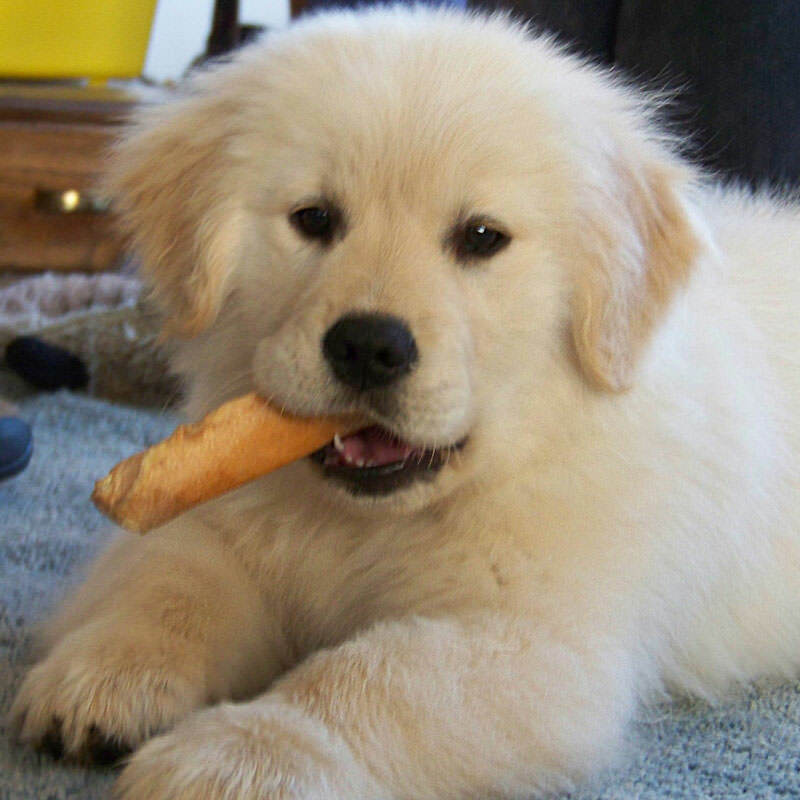 Golden Retrievers are the world's foremost family pet and companion. They are sturdy, well proportioned dogs, well known as hunters on land and in water but also make lovable, polite, and highly intelligent pets. They are a sweet, eager to please, devoted breed. However, as a result of their highly social temperament, they should not be left alone for extended periods of time or they will become mischievous and destructive. They are gentle, patient, and friendly with children and other pets. I have been breeding Golden Retrievers for over 30 years. When I was sixteen I was greatly disappointed with my first Golden Retriever, Cindy. She had terrible skin problems, hated the water and would not retrieve. Because of my poor experience, I decided to devote my life to providing the world with Golden Retrievers that exemplified the best traits of the breed while maintaining a high standard of health. When I married my husband Tom, he became part of my wonderful life with Golden Retrievers. 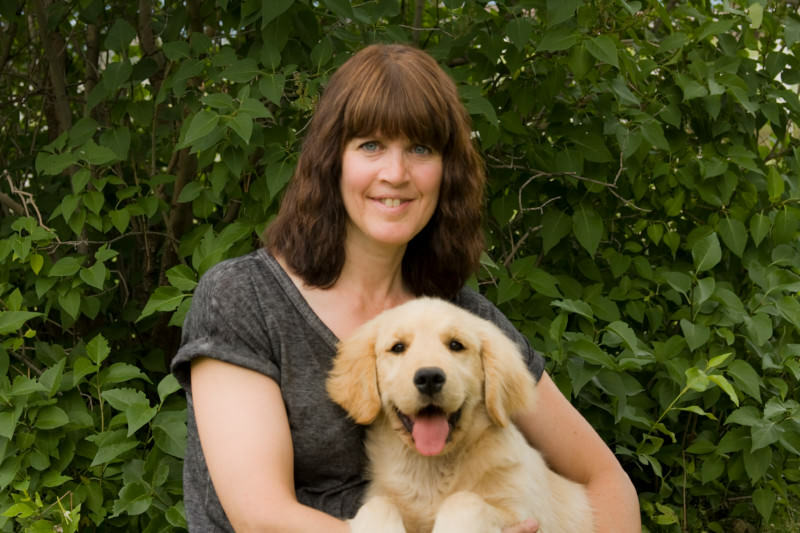 We now operate the business as a family, and our children assist with the socializing and care of our adorable Golden Retriever puppies and lovable adult dogs. 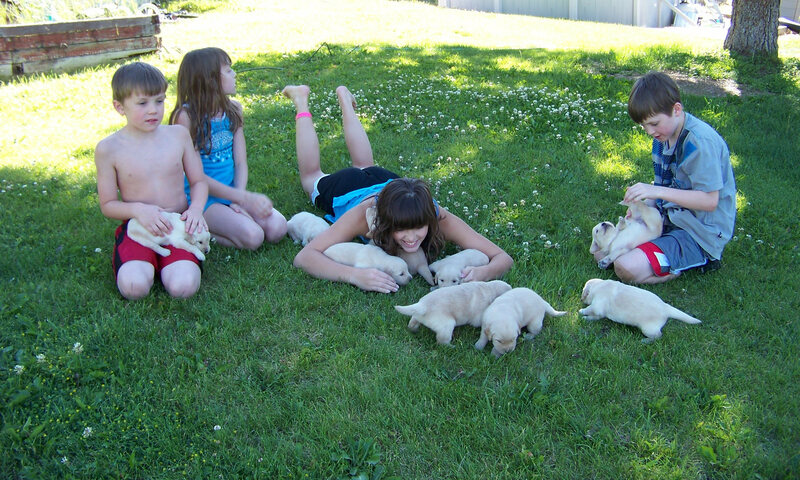 In order to provide you with the healthiest, happiest puppy, we do extensive testing on all our puppies parents. There are eight tests that we do on all of our sires and dams. Should they fail, we take great efforts to place them in pet homes with people who love them as much as we do. To ensure their comfort, all of our dogs are provided with horse troughs and air conditioning in the summer and heated housing in the winter. They are raised in our home and socialized daily. No dogs are ever kenneled. We go to great extents to keep in touch with the new puppy owners. Before pickup we will send pictures and videos on request. Some of our customers have continued correspondence long enough for us to become good friends. We continue our customer relations even after the puppies are in their new homes and ask everyone to keep in touch. We want to hear the good and bad news. If there is a problem we want to hear from you even if it is a simple question. For example: cutting toenails or how often to bathe your golden. Morgan was born on September 30, 2003 and i brought him home on November 10, 2003. He is a big boy, full of energy, and the love of my life. He is very easy going, loves everyone, people as well as dogs. He loves to play, and if a dog is small, he will get down on his belly to get to their level. I am thrilled that he joined my family. Hi Heidi and Tom, I hope that all is well with you. I am sorry I have not been in touch sooner! I just wanted to let you know how things are going with "mack" (ashley and higgins puppy). He is amazing! He is so sweet and laid back, and he is so good looking too! He is full of puppy energy when he gets around other dogs, but for the most part he is so chill when I need for him to be. So far he has caused no problems! Thank you so much for such a wonderful dog! He is everything I was looking for and more. I am so glad that I found you. I could not have asked for a more perfect puppy. I have attached some pictures to this e-mail. I hope that you enjoy them. Thanks again! Follow Watson on Instagram! He's a Lulu-Benny puppy! 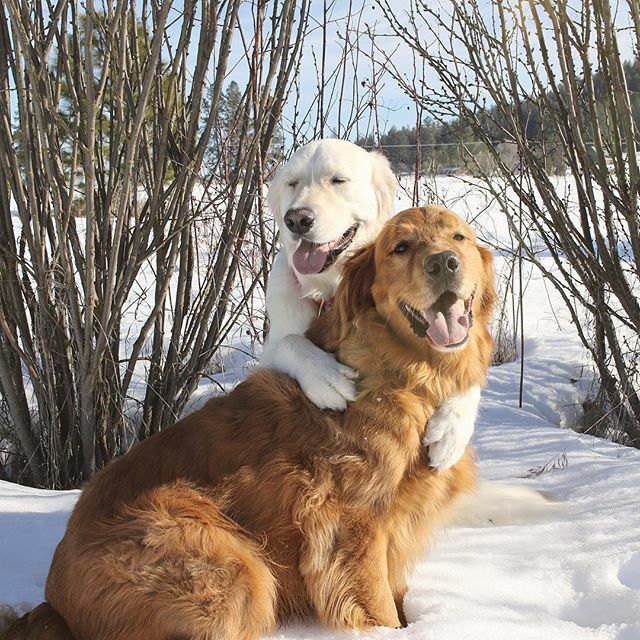 Watson is the "Trust Fall" pooch living with his brother Kiko and both sharing their love to the world. Fergus is a famous LL Bean fashion model! 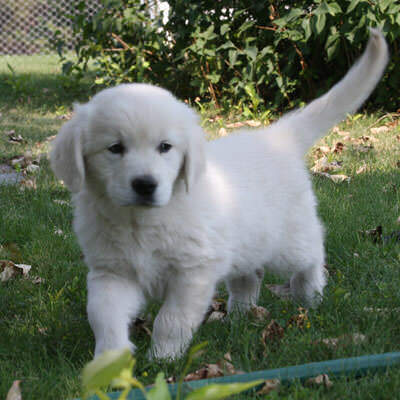 He's a Lily/Higgins Golden Retriever puppy. Check out his fashion portfolio.